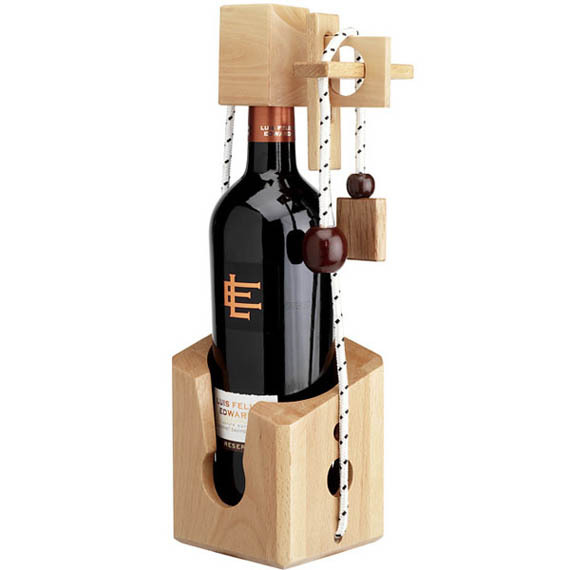 Don’t Break The Bottle is a puzzle that fits around a bottle of wine. You have to solve it in order to get to the good stuff inside. Apparently it’s nearly impossible. Which is exactly why I have this sneaky feeling that my probation officer has everything to do with this. Thing is, wine isn’t my problem. It’s tequila. That sweet nectar makes me loco! Aye yi yi, amirite? Besides, what Probation Officer Jim doesn’t realize is, I’d just as soon drill a hole in the bottle and pour the contents directly down my throat. YOU CAN’T HOLD ME DOWN!